Before the elections, Iraqi Kurdish media engaged in rabble-rousing, defamation and violating electoral rules, reporting more about what was wrong with the opposition than what was right with their own party. Media outlets in Iraqi Kurdistan failed the test of federal elections. Many outlets here, whether television, radio or print, say they want to be impartial, professional and balanced. And many certainly look the part. Unfortunately, the election campaigning, and this week, the aftermath of the Iraqi elections, has only made it more apparent that almost every outlet has an agenda – and usually one that supports whoever is funding them. Iraq’s Independent High Electoral Commission says they were receiving almost daily complaints of violations in the local media. One man NIQASH spoke with was not alone, when he decided to stop watching Kurdish news while at home. 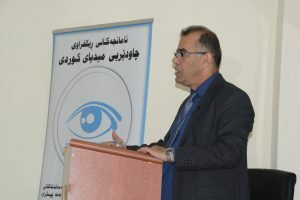 He said he deleted all the local channels from his satellite receiver during the campaigning because he was sick of all the bitching and backbiting and, although he was interested in the parties’ policies, he did not find out about any of this, and he did not want to hear any more of what he describes as a “media war”. 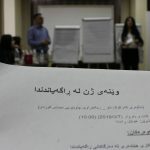 The local branch of Iraq’s Independent High Electoral Commission, the body tasked with ensuring election rules are kept, says they were receiving almost daily complaints of violations in the local media. 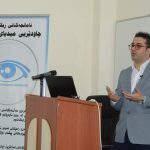 Complaints were submitted in Sulaymaniyah, Erbil and Dohuk and most of the penalties meted out were financial, Zana Othman, the spokesperson for the organisation, told NIQASH. Not that the rules or the penalties appeared to stop anyone. The targets were obvious. 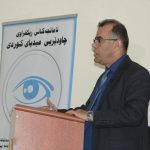 Most of the criticism on the PUK-affiliated channel, GaliKurdistan, was directed at a new group, the Coalition for Democracy and Justice, founded by a former senior member of the PUK, Barham Salih. Of course, the new media outlet affiliated with Salih was not about to take that lying down. Xandan TV also ran reports critical of the PUK. 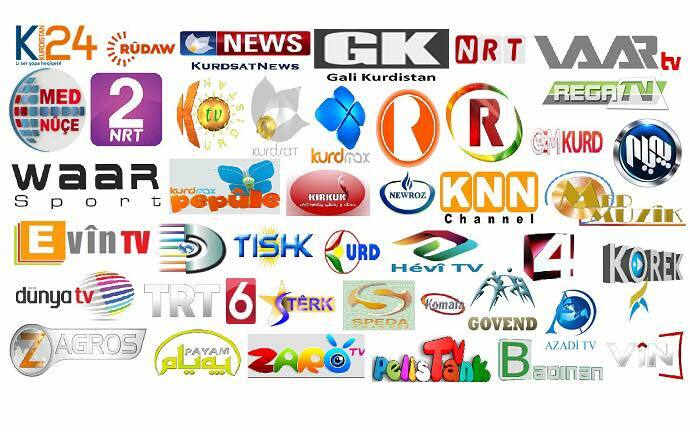 Rudaw, the media outlet owned by Iraqi Kurdistan’s prime minister, Nechirvan Barzani, broadcast messages from Barzani’s own party, the Kurdistan Democratic Party, or KDP and often used snippets as part of the daily bulletin. A lot of those messages targeted the PUK, which the KDP still blames for the events of mid-October, after the ill-fated Iraqi Kurdish referendum on independence. In mid-October, the Iraqi government forced the Iraqi Kurdish military to cede territory they had controlled before the referendum and the KDP says the PUK is to blame. 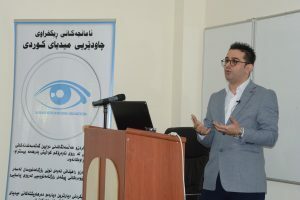 Rudaw tended to give KDP speeches and events prominence and although they did broadcast information about other parties, it was certainly not treated equally. The backer behind the New Generation party, businessman Shaswar Abdulwahid, funds his own TV channel, NRT. On the whole, NRT tended to focus on New Generation’s events and messages. There were still several obvious snipes though. The problem with Iraqi Kurdish media imbalance certainly didn’t go away after the elections either. 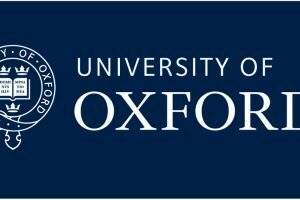 On the evening of May 12, the Change-movement-associated channel, KNN, was focused on charging the winners with electoral fraud and demanding a recount. The announcers also began to call for Change supporters to form a human wall around Change movement headquarters after a clash between passing security forces and party members. The situation went from what looked like an apparent, albeit dangerous misunderstanding to a huge crowd of frightened and angry people, some of whom were definitely armed. Yet again, the Iraqi Kurdish media, which often pay lip service to impartiality, professionalism, and balance, seemed to be making things worse. 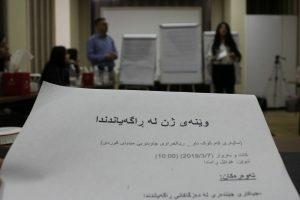 It is hardly surprising then that many people in Iraqi Kurdistan are not buying what their local media outlets are selling, and why every day, fewer locals trust the local content.